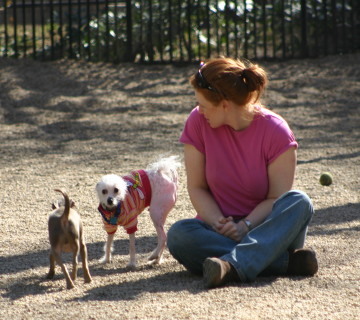 What is Dog Training New York Style? New York Wan provides the special designed dog training method for the dog owners who live in a big city as Tokyo. We love to work for you and for your lovely dog to make a happy and comfortable life. We are not just a dog training company. We are sophisticated dog professionals. We have highly skills and knowledge of dog training. Company Rep., Kenn Sato had 10 years experience of dog training and pet care business in New York City. Kenn learned a lot of dog training skills and techniques and marvelous relationship between New Yorkers and dogs. Why New York is called the Dog Lovers City? 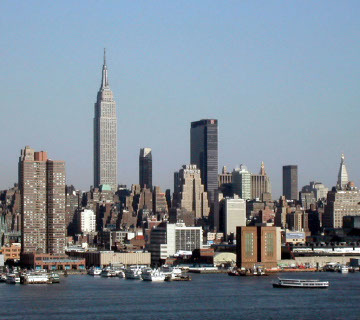 In the day time, innumerable people are travering for working to Manhattan from other states. Dyatime population pops up more than 10 millions. There are many kinds of nationalities and cultures. It is called a "melting pot". The city is also called "sky-scraper". As it is expressed that many high-rise buildings are standing in a raw and look like scrape the sky. It is the environment that very hard to live people and dogs togather in the city. Therefore it is produced a special training technics for dog lovers and dogs living in Manhattan. Now, Kenn Sato developed this dog training method for dog lovers living in Tokyo. I have learned New York's dog owners life style. They enjoy and always try to make a better life with their dogs. However, they also concern about people who do not like dogs or other animal. Dog owners enjoy their own life with dogs in a certain rules and effort not make any troubles with non pet owners. 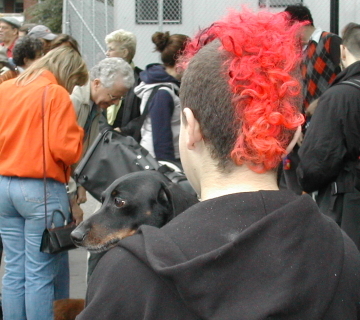 Therfore more than 300 million people and about 500 thausands dogs can live in together in a small island Manhattan. 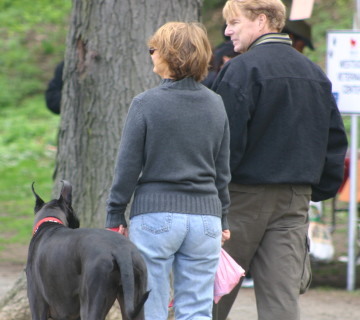 Person who became a dog owner, he/she received a big responsivilities for his/her dogs. They of course understand it. That's why they start puppy training first. If a dog is not trained and made a big traouble as biting people. The dog owner will be sued with a lots of money of compensation.